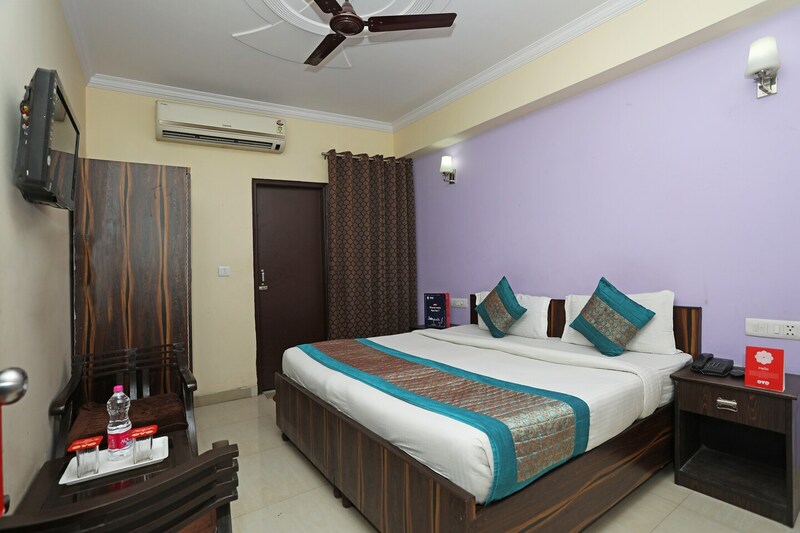 Hotel Galaxy is a modern property with bright and cosy interiors, located in Mahipalpur, Delhi. It is very close to Indira Gandi International Airport. Some tourist locations near this hotel are Rose Garden, Aravalli Biodiversity Park and Air Force Museum. This hotel offers simple and clean rooms done up in pleasant hues. Thas washrooms are clean and hygienic and have modern amenities. Common areas are spacious, well lit and aesthetic. The rooms here come with AC, TV, free Wi-Fi, and bathrooms have geysers. Power backup, CCTV security and laundry service are offered. Some eating joints near this hotel are Resto 37, Bella Italia, Biryani Blues and The Great Kabab Factory.